Did you know we’ve officially broken the record for most consecutive days without rain? It’s crazy to think that just this past winter/spring we also broke the record for most days with rain! In this dry, hot weather, nothing beats a cold glass of lemonade or a yummy ice cream cone. And you know what kind really takes the cake? Lavender! With its unique taste and relaxing qualities, it’s perfect for summer time. Not only does Lavender provide lovely blooms this time of year, but it can also be used in cooking, perfumes, essential oils, help deter pesky insects, be used in cut flower arrangements (both fresh and dried), and can even help you fall asleep at night. 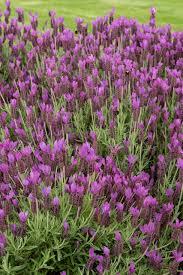 Lavender is low maintenance and once established, does not need much water, or feeding. It can be pruned after it has finished blooming or in February to keep it looking neat and tidy. They prefer full sun and well-drained soil. If you’re wanting to add some lavender to your garden, take a look at these fun choices. 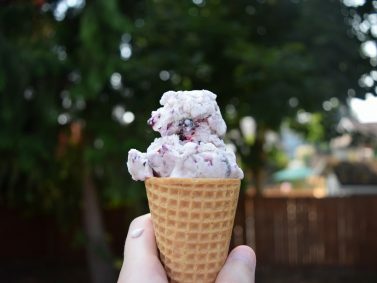 And don’t forget to read all the way through for a fresh-from-the-garden Lavender Blackberry Ice Cream Recipe! Hidcote Superior English Lavender (Lavandula angustifolia ‘Hidcote Superior’)– Most commonly used in cooking and essential oils, Hidcote Superior English Lavender has silvery green evergreen foliage. Spikes of flowers rise above the foliage in summer and have a darker shade of purple to them. On a warm summer day, you can really smell the flowers. It attracts butterflies and helps deter insects. Gets to be about 1 feet tall and wide. Hazel Spanish Lavender (Lavandula stoechas ‘Larkman Hazel’)– This lavender has large, fragrant flowers in summer that are wing shaped on top and are a bright magenta-purple color. Foliage is pale green and evergreen. 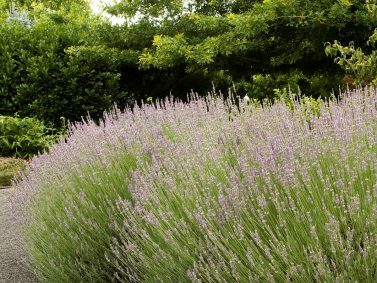 The Hazel Spanish Lavender also tends to stay in its clump form rather than flopping open like other types of lavenders may do. Grows to be about 30” tall by 24” wide. Provence French Lavender (Lavandula x intermedia ‘Provence’)- This lavender gets a bit bigger than the previous ones at 2 feet tall and wide. Because of its size, it works well as a hedge or in masses. Evergreen foliage is gray-green. 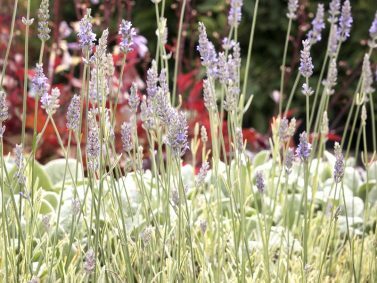 Lavender purple flower spikes rise above the foliage in summer and once cut, dries nicely for flower arrangements. 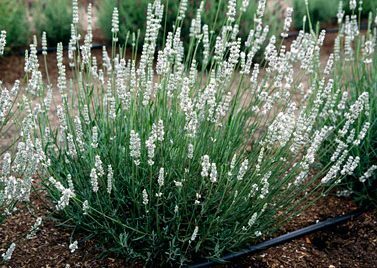 White Lavender (Lavandula x intermedia ‘Alba’)– Although you may think of lavender as mainly shades of purple, this lavender has evergreen, grey-green foliage, and spikes of white flowers in summer. It has the same fragrance as its purple friends and gets to be about 1 ½ to 2 feet tall and wide. Silver Edge Variegated Lavender (Lavandula angustifolia ‘Walvera’)- If you’re wanting to add some brightness to your garden with both flowers and foliage, this is a great option. The evergreen foliage is pale green with creamy white edges. The purple-blue flower spikes in summer really stand out against the leaves. Dried flowers from the Silver Edge Variegated Lavender also work well for cooking, potpourris, and cut flowers. It grows up to 30” tall by 24” wide. This is just barely skimming the surface of how many different kinds of lavender are out there. 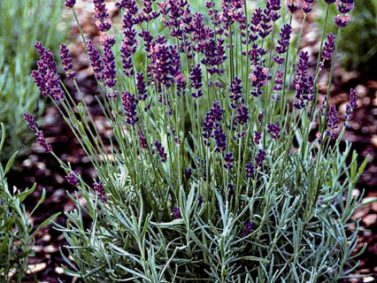 If you’re wanting to add some lavender to your garden, there is definitely one out there for you that will fit into your garden nicely. I just planted 2 this past spring and they’re already taking off and making my backyard smell wonderful! Now for the Lavender Blackberry Ice Cream I know you’ve all been waiting for. You can easily double this recipe to fit in an 8×8 pan (which is exactly what I did) or just follow it as is to fit in a loaf pan. There’s no need for an ice cream maker or churning with this recipe. It stores well in the freezer with plastic wrap or a lid. In the bowl of a stand mixer, whisk the heavy whipping cream on high speed until soft peaks form. Add the vanilla extract, then continue to whisk on high speed until stiffer peaks form. Strain the lavender milk using a sieve, tossing the lavender buds away, leaving the infused milk to be used. Add this milk to the whipped cream-condensed milk batter. Add in the mashed blackberries. Gently stir everything together to combine. Pour the batter into a loaf pan, then directly cover with a sheet of plastic wrap. Freeze until firm – about 4 hours. Homemade Lavender Blackberry Ice Cream…Yum! If you’d like to read the full blog post where I found this recipe, click here. With the summer starting to wind down (I see rain in the forecast! ), now is a great time to think about next summer. If you’re wanting to update or re-do your yard, it’s best to plan ahead as much as you can. A free phone consultation is a good way to start so that we can answer any questions you may have about our process and your project. 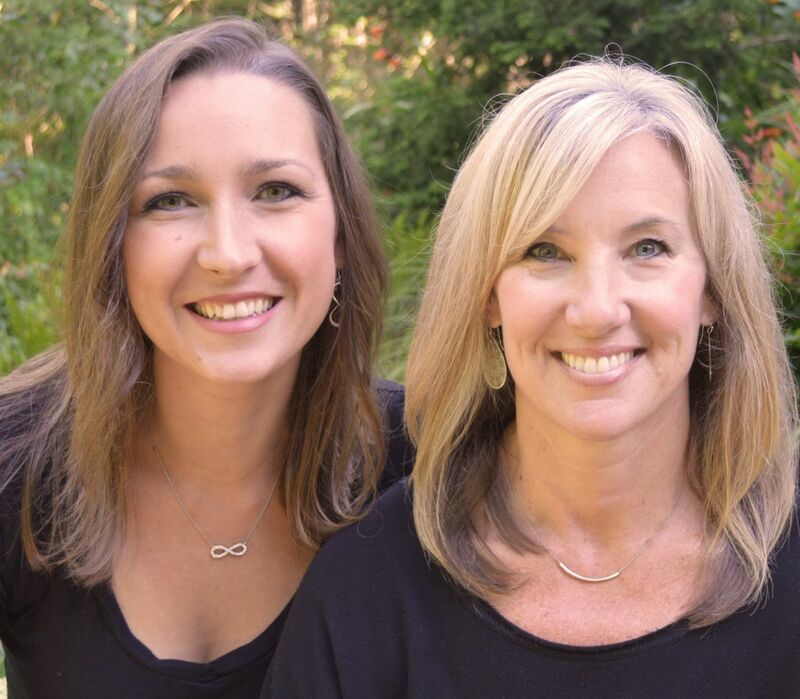 To schedule a phone consultation, you can fill out this form and we will contact you as soon as possible. Organized under Buds and Blooms, Edible Gardening, Low Maintenance Gardens, Plant of the Month, Plants I Dig, Water-wise Gardening. Labeled as blackberry ice cream, drought tolerant plants, edible gardening, english lavender, french lavender, Hazel Spanish Lavender, herb garden, Hidcote Superior English Lavender, ice cream, Lavandula angustifolia ‘Hidcote Superior’, Lavandula angustifolia ‘Walvera’, Lavandula stoechas ‘Larkman Hazel’, Lavandula x intermedia ‘Alba’, Lavandula x intermedia ‘Provence’, lavender, lavender blackberry ice cream, lavender ice cream, low maintenance plants, Provence French Lavender, Silver Edge Variegated Lavender, spanish lavender, summer blooming plants, variegated lavender, White Lavender.